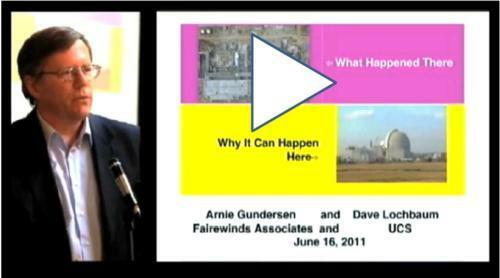 On June 16, Dave Lochbaum spoke at the Boston Public Library as part of an event titled What Happened at Fukushima – Why It Can Happen Here. The event was sponsored by the group C-10. Also speaking at the event were Arnie Gundersen, an engineer who—like Dave—worked at nuclear plants for many years, and Richard Clapp, Professor Emeritus of Environmental Health at the Boston University School of Public Health. Click on the image above to see a video of the presentations by Dave and Arnie.